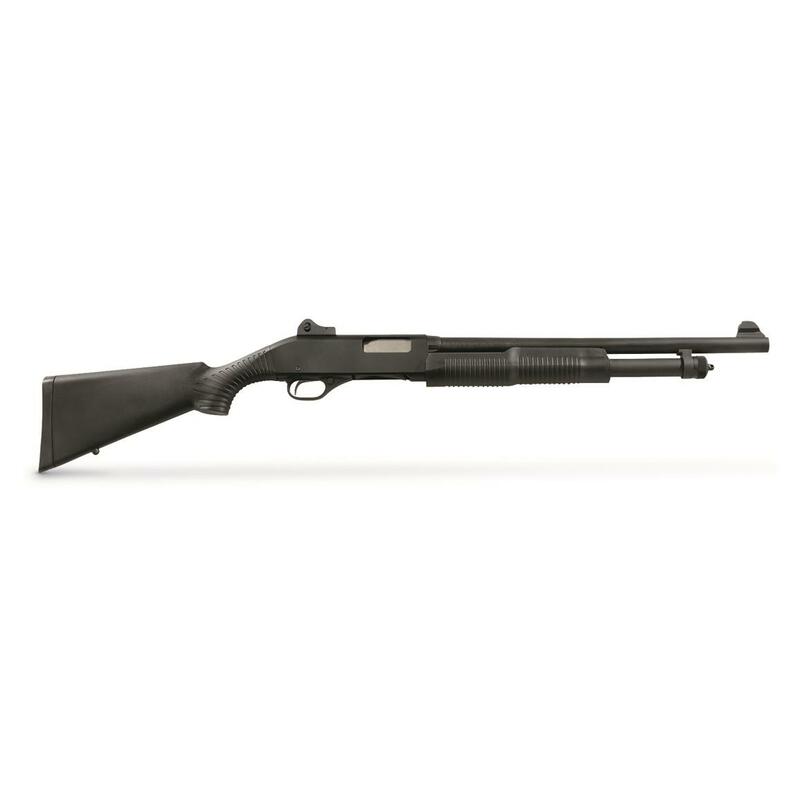 Stevens® 320 Security Pump Action 12 Gauge Centerfire Shotgun with Ghost Ring Sights. Top budget performance! That's what this Stevens® 320 Security Pump Action Shotgun is all about. It features a proven rotary bolt design and dual slide bars for quick, no-hassle chambering and ejection. Plus, it's equipped with ghost ring sights for improved accuracy. These characteristics, along with its flawless balance and natural pointing qualities make the Stevens 320 Pump Action Security 12 Gauge Shotgun a topnotch choice whether you're adding another firearm to your collection or looking for your kid's first shotgun.